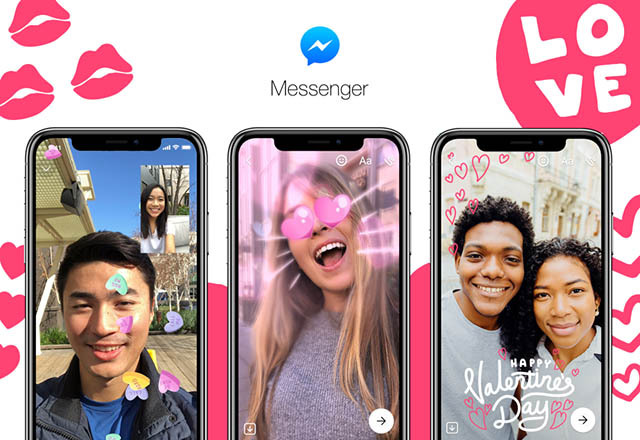 In a recent blog post, Facebook has announced a new Valentine’s Day-themed update for Messenger. 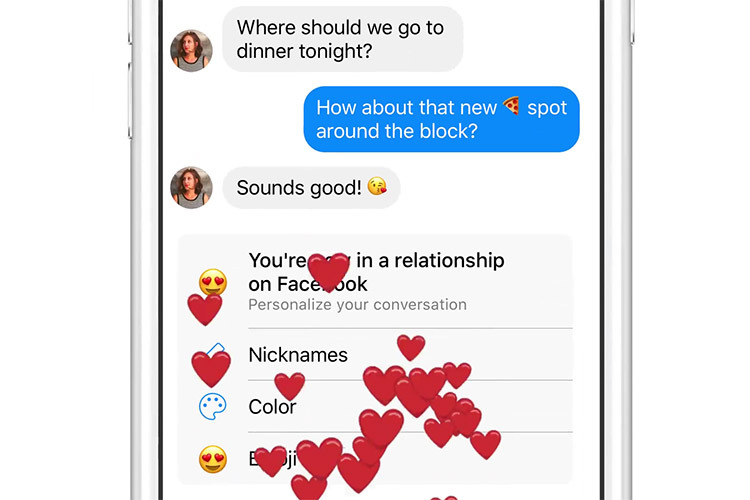 With the update, if a user indicates that they’re in a romantic relationship on Facebook, they’ll get a Messenger notification which will automatically open up a chat window to the person they have mentioned. It’s raining hearts! A heart shower will fall across the user’s screen. 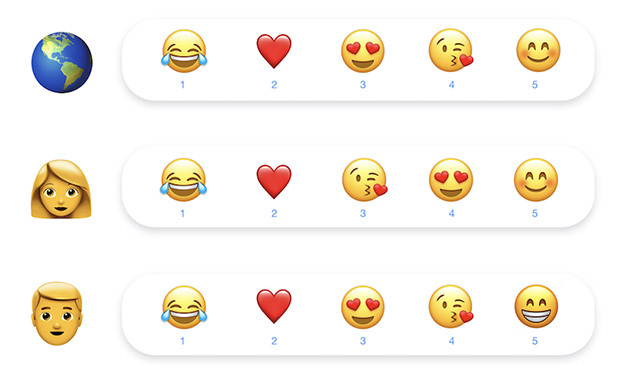 Spread the love: The user’s custom emoji, which can be found in the lower right hand corner, will be automatically switched to 😍. Get personal: The user will be prompted to personalize their chat and set their own custom text color, emoji, and nickname. Chatting with bae: Your partner or loved one will be the first person to appear on the Active tab, making it easy for them to start a chat instantly. The company also included a number of filters and effects for the Messenger Camera to help users send customized Valentine’s Day messages to their loved ones. The new filters include a heart eyes filter, a falling candy heart effect, and a Queen of Hearts filter. The new filters will also be available for users in Messenger video chat. Along with the new features, Facebook also released some statistics highlighting how people in the Messenger community express love. The company revealed that Messenger users share over 2 billion emoji each day on the platform, with 😘, 😍, and ❤ ranking in the top five most popular emoji. Both men and women on the platform used similar methods to express love, with ❤ being the second most popular emoji for both genders. Users who like to customize their chat chose red more often than not, making it the most popular chat color and ❤ was also the most popular custom emoji on the platform. The company also said that Valentine’s Day was one of the most popular and active days on Messenger last year.